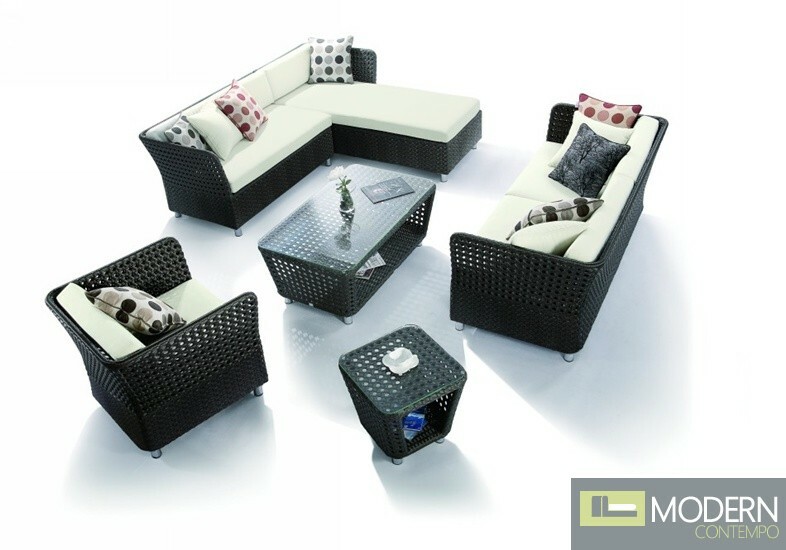 This is have a 5 piece outdoor sofa set that includes a sofa, loveseat, chair, coffee table and end table. Each piece features a unique open boxed design. The frame is black while the cushions are white. The sofa features a chaise lounge at the left end and each piece features chrome legs.